A series of strange and disturbing events occur all over the world. Everyone in a city with a pacemaker drops dead at the same minute, a storm of pigeons pelts London, aurorae can be seen over Washington, DC. 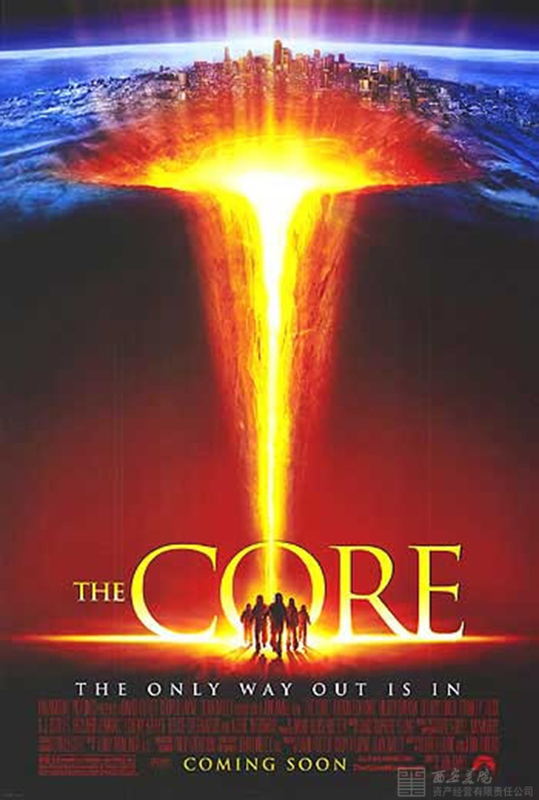 It becomes clear to Professor Josh Keyes that what is happening is that the Earth’s magnetic core has stopped spinning, and as a result, the planet’s electromagnetic field is deteriorating. If an intervention cannot be made within three months, microwave radiation from the solar wind will fry all life on Earth. The US government puts together a blank-check terranaut operation crewed by Keyes, his colleague Dr. Leveque, renowned geophysicist Conrad Zimsky, space shuttle pilots Robert Iverson and Beck Childs, and the maverick designer of their ultrasonic-tunnelling vessel, “Braz” Brazzleton. Assuming they can reach the core in time and alive, their mission is to restart the inert core with the largest-ever nuclear warhead. Getting back too would be a plus. This is much more of a disaster movie than I expected. The first half of the movie is mostly sequences of worldwide chaos, and they don’t drop Virgil until about an hour in. This has the advantage of allowing them to spend less time finding trouble to get into inside the mantle. Here’s the thing: on the whole, this was a lot more plausible than I expected. There’s a reason the core stopped spinning that is more simplistic than ridiculous. Boring with an ultrasonic beam (they call it an ultrasonic laser but lasers aren’t sonic) is mostly absurd because they don’t address the material getting out of the way. Their “unobtainium” (which they at least acknowledge is a nickname where I think Avatar did not) is the biggest breach of science, but it’s done with a wink. The second biggest to me is the way the electromagnetic anomalies happen in discrete episodes, but that’s a crutch of storytelling. I can’t say a ship definitely wouldn’t run afoul of colossal geodes and diamonds in the mantle. I really don’t see a justification for having EVA suits, but at that point, it’s just story. The director generally responds to criticism by claiming he fought to keep much more egregious ideas out of the movie, and the result seems to me to be within one standard deviation of the usual Hollywood science. No worse than an underexplained FTL drive. Aside from all of that, the story is a quite serviceable blockbuster adventure. The whole world is America (with cameos from famous European landmarks), but that’s hardly unique to this movie. It’s plenty of fun and has enjoyable characters, which covers a lot of sins. It’s basically a popcorn space movie that doesn’t go to space.